So after getting back from New York and facing the mountainous piles of work that has be done, you gotta expect stress levels to increase to a new high. Swimming and drowning in pools of compositions and comprehensions is no good for the soul, you feel? 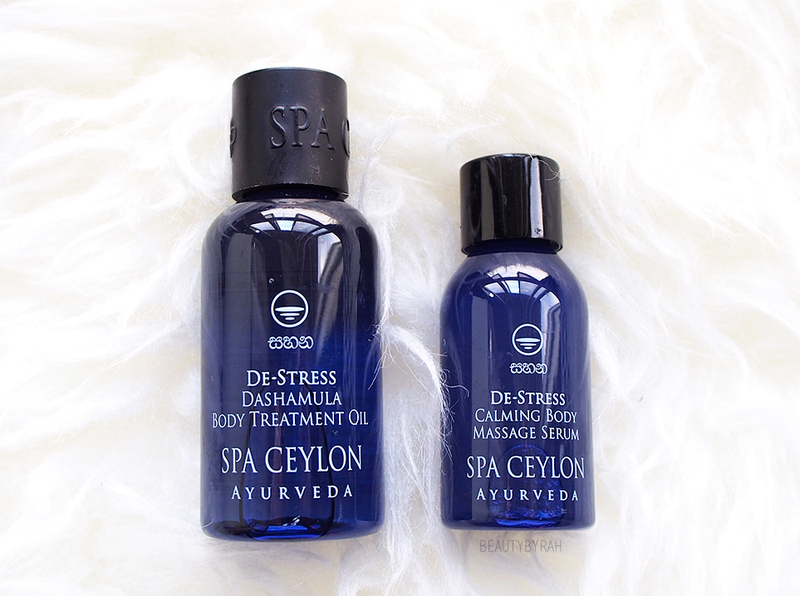 It was really great timing as I had the opportunity for a massage using Spa Ceylon's De-Stress range a week after flying back to Singapore. 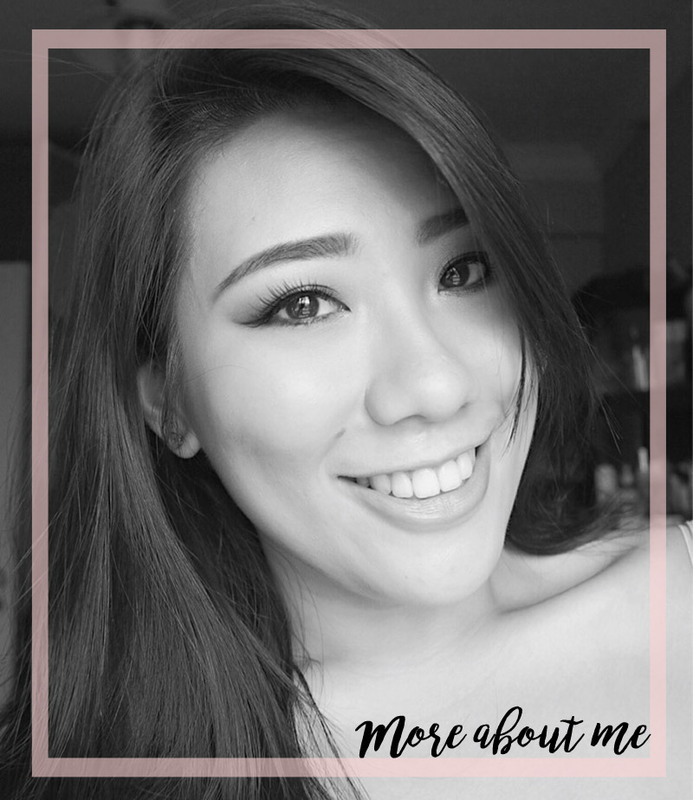 It was at Healing Touch, a massage parlour with years of experience at Tanglin Shopping Centre and I thoroughly enjoyed the 90 minutes of bliss. 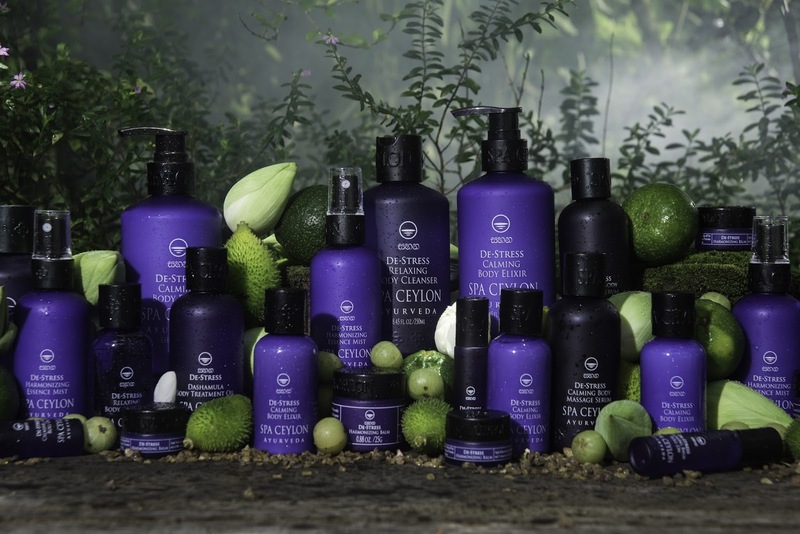 Spa Ceylon is the world's leading luxury Ayurveda brand, where product ranges are derived from the royal well-being rituals and holistic healing practices that were practised in the grand palaces of ancient Ceylon (now known as Sri Lanka). Founded in 2009 and backed by a nearly 50 years of expertise in the manufacture of Ayurveda health and beauty care, the brand has grown rapidly with more than 40 signature boutiques and 15 spas located across South Asia, the Far East and Europe. Side tracking a little here, Ayurveda is one the world's oldest holistic healing systems which was developed in India thousands of years ago. It is based on the belief that health and wellness depend on a delicate balance between the mind, body and spirit, with a primary focus to promote good health. I do love stress relief products as they do help to calm the nerves and soothe the soul - great if used before bedtime, if you ask me. 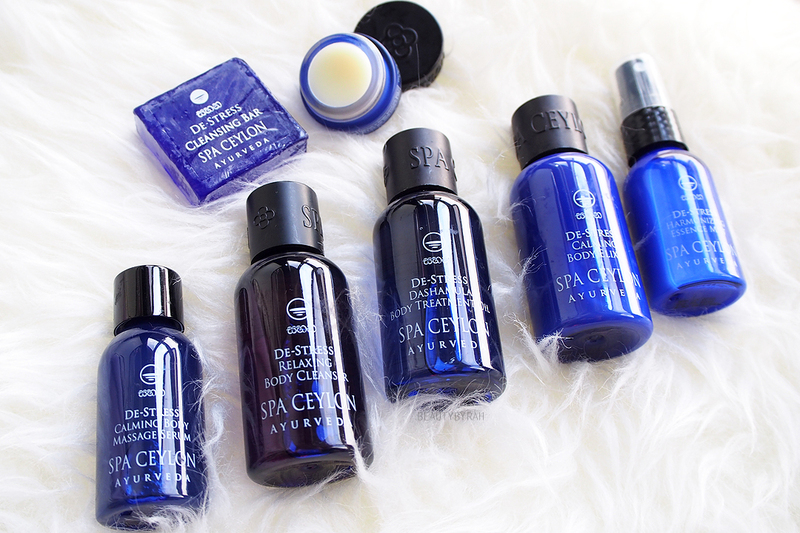 I take sleep really seriously and these products help make those precious moments count. Pillow mists and body lotions are my favourite, and I will share more about them later. The newly launched De-Stress range infuses Sandalwood, Tangerine, Aloe Vera and Kaffirlime with its main ingredient, Frankincense. The range is also enriched with powerful Ayurveda herbs, and features the traditional Dashamula formula fortified with potent extracts of 10 medicinal goods. 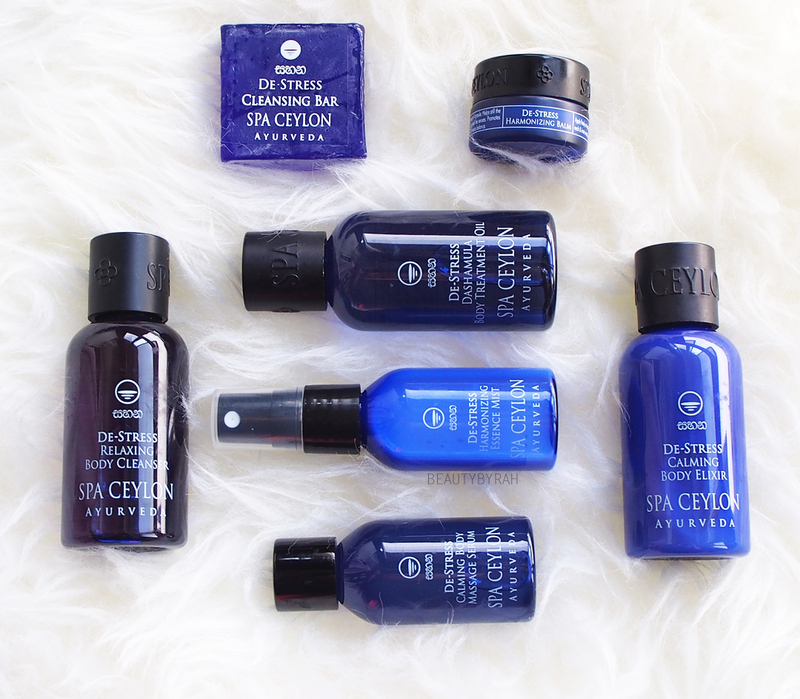 All products are free of silicones, paraben, paraffin and alcohol, and are suitable for all skin types. Noted, they are also environmentally friendly, not tested on animals, and are entirely vegetarian. Apparently, the range was a result of years of research and development to create the perfect mix of sensory and functional benefits. The products do smell absolutely lovely - a deep musky scent with a touch of citrus. I am usually not a fan of deep musky scents, but I do like this quite a bit. It is neither too sweet nor overpowering and in fact, it does smell pretty manly too. I do enjoy the Relaxing Body Cleanser and I always look forward to using it for my shower before I head off to bed. The scent, you guys, is so calming! It doesn't dry out my skin either - noted, it contains organic fresh aloe vera, virgin coconut, honey and oil to gently cleanse and nourish the skin. After showering, I like to apply the Calming Body Elixir right after I pop out of the shower. This acts as a moisturiser to help soften and protect the skin against dryness. It isn't tacky and gets absorbed into the skin quickly, which is great as I hate sticking to my sheets! My ultimate favourite product of the range has to be the Harmonising Essence Mist. I spray this onto my sheets and my duvet before bed and trust me, when I am in bed getting ready to knock out, this just makes the whole sleeping experience much better. This mist can be sprayed directly onto the body as well, as it contains ingredients to help hydrate the skin. Do note though, it does contain natural witch hazel - a potential skin irritant - so try to avoid the facial areas if you have sensitive skin. 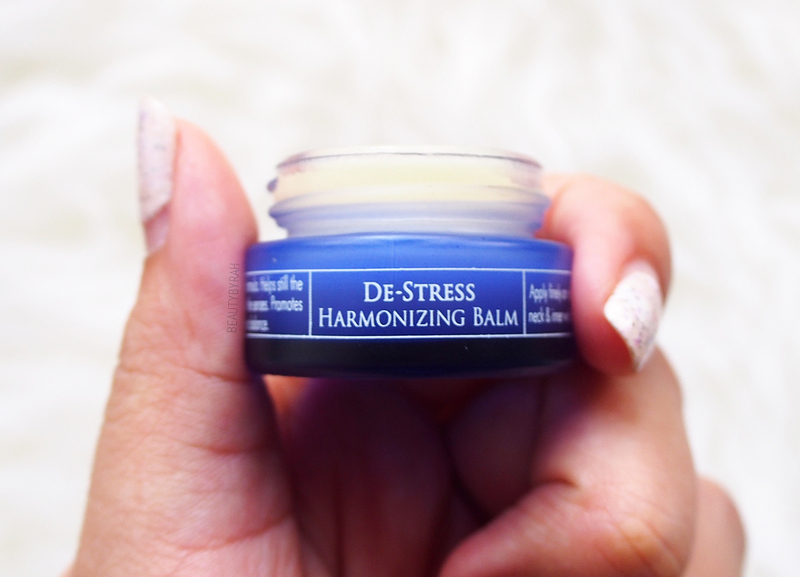 Another product of the range that I particularly enjoy is the Harmonizing Balm. This solid balm is really portable and I do bring it to work with me. Kids out of control? I dab a little. Feeling exhausted despite three cups of coffee? I dab some more. This balm contains grapefruit and bergamot (y'know I love me my citrus scents) and is really uplifting and refreshing. When you're trapped in an enclosed classroom (or any work space, for that matter) for hours, this is a life saver. I had the luxury of experiencing the Body Massage Serum and Dashamula Body Treatment Oil during the massage and I have to say that I do enjoy it as well. The scent, as mentioned multiple times, does really calm the senses. The serum and oil gets absorbed into the skin nicely as well, leaving the skin feeling soft and moisturised, but not overly oily. Ever walked out of a massage parlour feeling like you just rolled around in a frying pan? I do, but yeah this wasn't one of em', so we're good. Overall, I have to say this range did hit the scent spot on and I have a feeling that I will have to repurchase my Harmonising Essence Mist (as I tend to get a little carried away whilst spraying, but we've all been there). 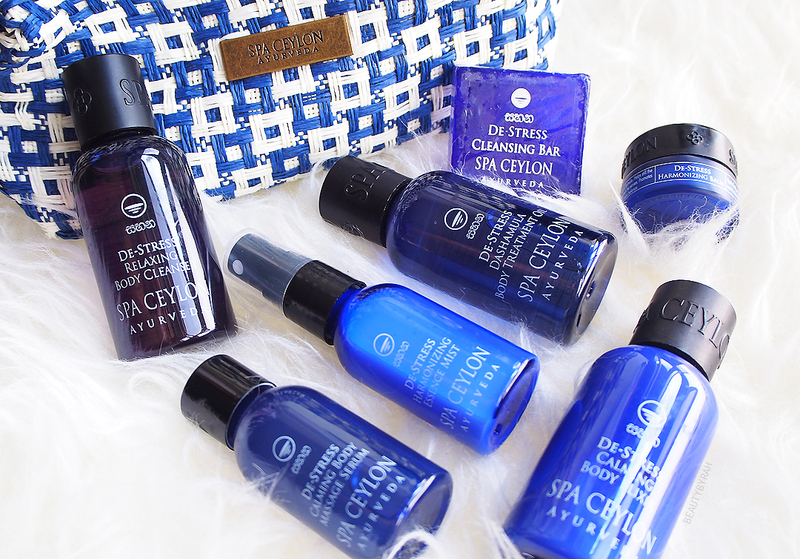 Featured here is the De-Stress Home Spa Set (SGD 79.90) containing the Relaxing Body Cleanser (60ml), Calming Body Elixir (60ml), Calming Body Massage Serum (30ml), Dashamula Body Treatment Oil (60ml), Harmonizing Essence Mist (30ml), Harmonizing Balm (8g) and Cleansing Bar (35g). It comes with a woven pouch as well - I foresee this to be great as a gift! It works great if you want to try out the range before committing to full-sized products as well. 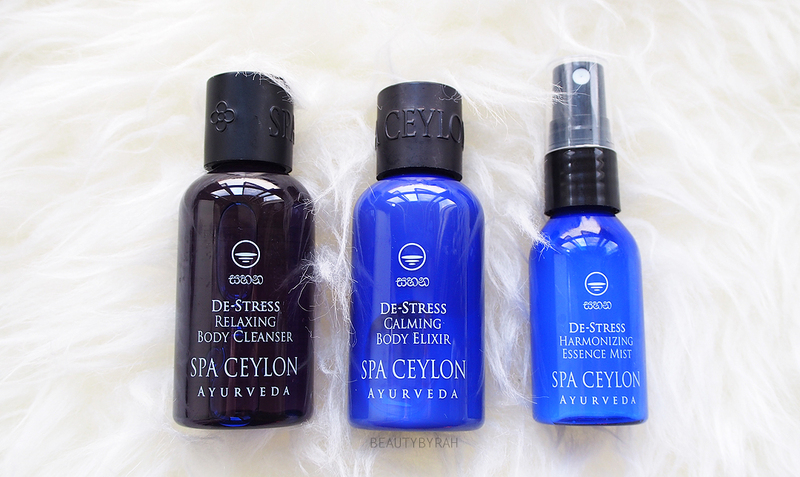 For more information on Spa Ceylon and the De-Stress range, you can check out their website here or their Facebook here. They also have a boutique located at Wisma Atria, #01-43. **These products were given for a review. Only honest thoughts are shared here, with no influence from others. I am not compensated nor affliated to the brand.